The College of Life Sciences is delighted to announce the winners of three of the College’s four awards for research-related activities. CLS invites nominations annually for each of these four prizes as part of the its commitment to encouraging, recognising and celebrating the contribution of Postdoctoral and Doctoral researchers. “Postdocs and PhD students make up over 60% of our Research School and are a vital part of our research community. Their work in laboratories and contribution to research outputs is crucial to our success as an international centre for life sciences research excellence. “Every year we recognise their contribution through these awards, which cover a range of research-related activities: the most significant papers in research related to cancer and cell biology, aw well as delivery of research impact through innovation, public engagement and outreach. 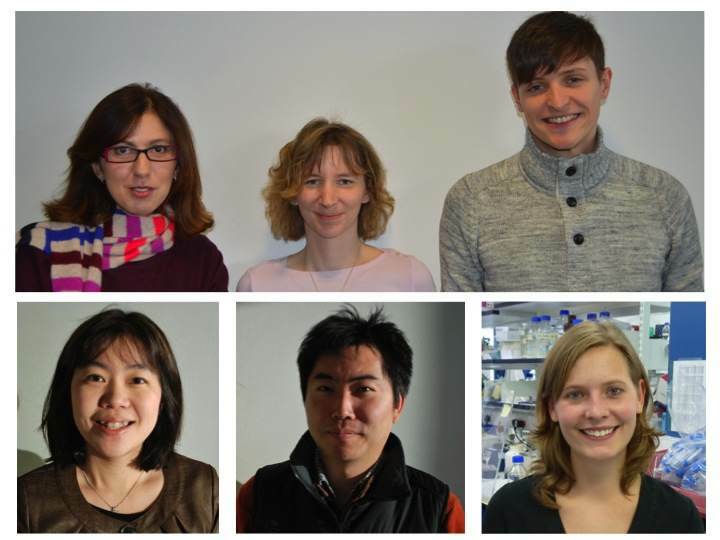 There were two winners of the Tim Hunt Prize for Cell Biology. Sandra Moser, Dalila Bensaddek and Brian Ortman won for their Developmental Cell paper describing a new and unexpected link between hypoxia and cell cycle regulation. They share the prize with Lena Herhaus of the MRC-PPU for “performing a tour-de-force in the first two years of her PhD to improve our general understanding of TGF signaling”. If it feels as though the iGEM 2013 team from Dundee were just everywhere last year it’s because they were! The Brian Cox Award for Public Engagement went to the 2013 iGEM Team for successfully raising the international profile of Synthetic Biology research. The team members are: Christopher Earl, Philip Rodger, Ewa Grabowiecka, Kyle Buchan, John Allan and Alice Rowan from Life Sciences; Kyle Harrison (applied computing), Nasir Ahmad (physics), Craig Johnston (mathematics) and Rachel Findlay (mathematical biology). Calls are currently out for nominations for Innovator of the Year 2014 and the winner will be announced at the CLS Research Symposium in Crieff.